Similar in approach to a graphic novel, this biography-in-collage tackles the life of Ziegfeld Follies star Doris Eaton. 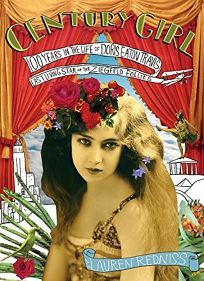 Each page offers a wild mix of illustrations, doodles, photos and memorabilia from Eaton's archives, accompanied by handwritten text outlining her fascinating life, which comes across like something out of the musical Gypsy. Born in 1904 to a theatre-crazed Virginia family, Eaton was cast in New York's famous Follies at age 14, appeared in numerous silent films, worked for years as a dance instructor and earned her college degree at age 88. New York Times contributor Redniss's surrealist scrapbook approach is striking and unique, captivating readers by twining simple, evocative text with a stunning array of images, splaying words at all angles across the page; though this slows reading, the forced pace gives readers more opportunity to appreciate the book's charms. A worthy experiment in the genre, the visual approach takes precedence over a considered analysis of Eaton's life and career, but interview material with the vivacious showgirl survivor grounds the story. Appropriately, it's an elaborate (and, in the case of the forthcoming limited edition, pricey) spectacle heavy on opulent ocular flash, lighter on substance, and perfect for fans of the Follies.